A major point of consensus for manufacturing companies is higher capital outlays with diminishing profit scales. This results in outsourcing your manufacturing needs to low wage places. Rising costs of leaving with need for automation and modernization makes artificial intelligence a mere option. Though it is another aspect that due to automation several workers would end up losing their job, companies can encourage such works to pick up high end jobs. Maintenance tasks, programming and superior quality design are tasks undertaken by such workers. In reality you might be not able to formulate artificial intelligence for such applications. A mere automation of tasks is expected making business process feasible. An example is customization of products to meet individual requirement of customers. In a manufacturing set up several minute details are not visible to human eye and go unnoticed under the carpet. Advanced technologies in the form of artificial intelligence and machine learning adopt a microscopic approach to problems. What a human eye cannot detect they outline easily. 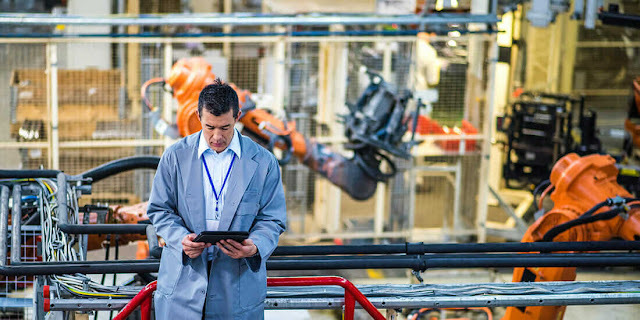 AI manufacturing companies need it as part of their system. Such companies have incorporated automation robots to enhance performance which is increasingly becoming popular. An essence of this system would be robots integrate with human beings and are able to take commands from them. Superior machine senses in the long run would provide a better work place.